While Jesus was far away, the man saw him. The man ran to Jesus and bowed down before him. Jesus said to the man, "You evil spirit, come out of that man." So the man shouted with a loud voice, "What do you want with me, Jesus, Son of the Most High God? I beg you to promise to God that you will not punish me!" 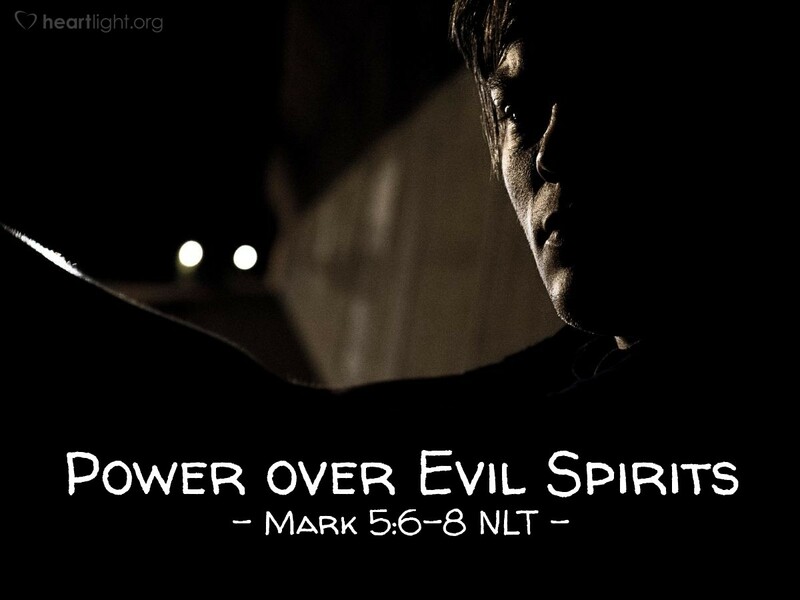 In the Gospel of Mark, we learn that the demons know Jesus' true identity. They fear Jesus and know he has power over them. The man we meet among the tombs in the cemetery—a man whose name we never know because his identity has been stolen by the demons inhabiting him—does not speak. Instead, the demons speak through his voice. Their terror at their own defeat at Jesus' hands is revealed. As God's presence in human flesh—God's Son—Jesus is superior to all beings, heavenly and earthly, good and evil. Not only while he was on earth and also now at the Father's right hand, he holds the power over them. They cannot and will not defeat him. Even in the Cross he triumphs over them because of his sacrificial obedience which purchases our freedom, pardon, and righteousness. Holy God, Almighty Abba Father, I praise you for Jesus' power over all things and all beings. Give me faith to believe this and live accordingly. While I know I will struggle against the power of Satan and his angels, I truly believe that through Jesus, victory is mine. I praise you and thank you in the mighty name of Jesus. Amen.